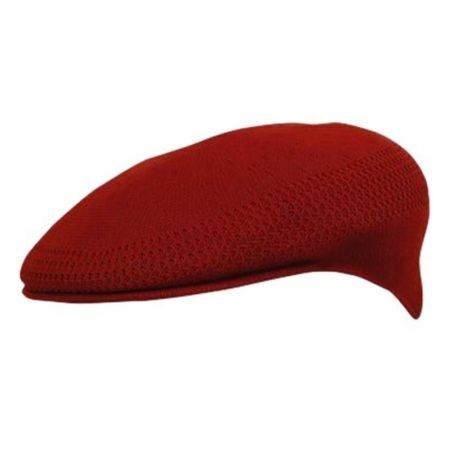 Whether you're shopping for a Red Kangol hat to match a suit or linen outfit you have or just like the way Red Kangol hats look. You won't be disappointed once you start seeing how comfortable a red Kangol hat called the Ventair 504 are. Read articles about Kangol Here. See all of the colors and styles of Kangol Hats Here. Kangol hats has been keeping fashion minded men looking their best for over 30 years strong. Sure Kangol has been around as a brand name for far longer but started out as a hat maker for men's golf hats. In the early 1980s though, Kangol became a fashion brand name in the hat world when hip hop artists started wearing them in their videos in the then young MTV. L.L. Cool Jay was one of the big name rap artists to be seen wearing a red Kangol hat on his head all the time and it wasn't long before this iconic casual hat brand with the kangaroo on it became a huge fashion brand. So, if you like to dress with an edge that revolves around style even when you're dressing casual, Kangol hats are for you.